Ankara is closely following the intensification of Russian-Kurdish contacts, fearing that Moscow will use its contacts with Syrian and Turkish Kurds to undermine Turkish influence in the region, according to Lebanese newspaper Ad-Diyar. 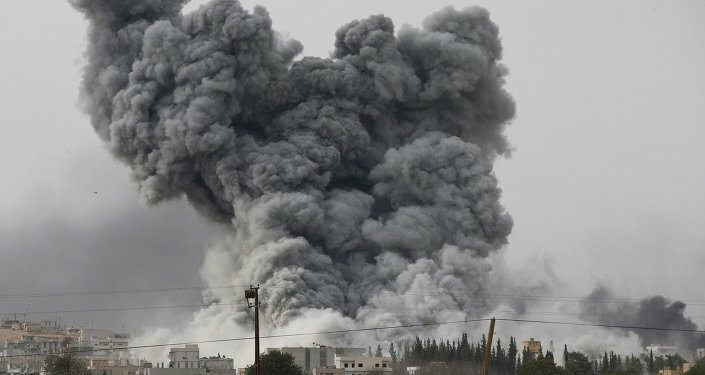 "Russia knows exactly how to push its geopolitical opponents' buttons," the newspaper suggests, noting that Turkey's decision to shoot down a Russian Su-24 bomber over Syria last month only intensified the geopolitical competition between Moscow and Ankara, with "Moscow punishing Ankara politically and economically, and now, by exercising its influence in an area which is particularly sensitive for Turkey – the Kurdish question." On Wednesday, Russian Foreign Minister Sergei Lavrov held talks with Selahattin Demirtas, the co-chairman of the Turkish pro-Kurdish People's Democratic Party (HDP), the country's third-largest parliamentary group, and second-largest opposition party. The opposition leader criticized the ruling Justice and Development Party government's actions, adding that "a solution that won't harm our two nations should be found." For his part, Lavrov reiterated that Russia's conflict was with the Turkish government, not the Turkish people. According to Ad-Diyar, Russia understands that by strengthening its relations with the Kurds, in Syria, Iraq and Turkey itself, it can put significant pressure on Erdogan, both domestically and in the region. Recalling the Kurds' intention to seek autonomy in northern Syria, the paper noted that "to this end, Russia insisted last week on the need to give the Democratic Union Party, the Syrian Kurdish party associated with the [banned] Turkish Kurdistan Workers' Party, a seat at the negotiating table alongside other Syrian opposition groups." Ultimately, the prospects for Kurdish autonomy, accordingly, could result in northern Syria "becoming a fertile stronghold for PKK activity," with the group gaining the capability of launching strikes into Turkey from northern Syria, something which "would be disastrous for Ankara." As far as Demirtas and his visit to Moscow is concerned, Ad-Diyar suggested that the meeting with the Russian foreign minister was aimed at demonstrating Turkish Kurds' independence, and their ability to gain Moscow's political support. "Demirtas wants to show Erdogan that the Kurds are a political force which cannot be pushed aside at election-time, or crushed in the streets." Moreover, the visit, the paper noted, came at a sensitive time, with the smoldering conflict between Ankara and the PKK igniting into all-out military conflict this past summer, with Turkish security forces launching large-scale military operations involving nearly 10,000 personnel, and Erdogan promising to "annihilate" PKK members in their homes. Iraqi and Syrian Kurds, meanwhile, have accused Ankara of repeatedly bombing them in recent months, amidst their campaigns to defend against assaults from Daesh (ISIL/ISIS). "The Russians," Ad-Diyar concludes, "are adept at identifying their opponents' perceived weak points, and then exerting pressure on them. In the case of Turkey, Moscow has found a weak point, in the form of the Kurds…and can find inspiration in a quote by veteran Turkish journalist Cengiz Gandar, who recently wrote in Turkey's Radikal newspaper that "if you invite a bear to dance, it is not you who decides when the dance is over –it's the bear."